When an individual is convicted of a criminal offense, the next step in the criminal process is for the judge to determine the appropriate sentence for the defendant. In considering sentencing, a judge will look at the United States Sentencing Guidelines, as well as a presentence report. The Sentencing Guidelines provide base offense levels for different criminal offenses, which translate into sentencing ranges for judges to consider. These base offense levels can then be adjusted upward or downward, based on aggravating factors (such as use of a weapon) or mitigating factors (such as assistance with investigation of other crimes). The Sentencing Guidelines are reviewed on occasion by the United States Sentencing Commission, and adjustments may be made based on policy determinations. Since these adjustments cannot be timed perfectly with every ongoing criminal case, there are inevitably defendants who are sentenced under guidelines that are amended while a criminal proceeding is ongoing. In these circumstances, can amendments be applied retroactively to reduce a defendant’s sentence? A recent case in the Seventh Circuit Court of Appeals considered this question. In United States v. Koglin, Kris Koglin pled guilty to conspiracy to possess with intent to distribute, and distribution of, more than 1,000 kilograms of marijuana. In connection with his plea, he also agreed to assist the government in the prosecution of his co-conspirators. At the sentencing phase, Koglin was awarded a base offense level of 32. Under one of the sentencing guidelines applicable to his circumstances, Koglin was then awarded a reduction of his level to 30. This guideline provided that for any offense of 32 or more in which a defendant performed a “mitigating role” by assisting the prosecution, the offense could be reduced. After several additional adjustments, Koglin’s sentencing guideline range was 70-87 months. The government ultimately moved for a lower sentence, based on Koglin’s assistance, and he was given a 57-month sentence. During the sentencing process, the Sentencing Commission passed an amendment to the sentencing guidelines that reduced the base offense level for Koglin’s crimes from 32 to 30. On this basis, Koglin moved for a reduction in his sentence. The government conceded that Koglin might be eligible for a reduction but asked the judge to deny it in his discretion. 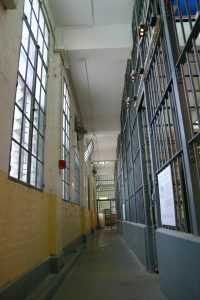 Under existing federal statutes, a defendant’s sentence may be reduced when the sentencing range is amended and lowered by new Sentencing Guidelines. The Sentencing Guidelines further provide that such reductions are not allowed if the amendment to the Sentencing Guidelines does not have the actual effect of lowering a defendant’s applicable sentencing guidelines range. Koglin argued that since the base offense level for his crime was lowered by two points through the amendment, his overall offense and the corresponding sentencing range should have been lowered as well. However, as the judge noted, this argument ignored the interactions between Koglin’s base level offense score and the subsequent adjustments to his score. Indeed, since Koglin was already entitled to a downward adjustment of two points, due to the assistance he provided the government, the judge determined that under the old or new sentencing guidelines, Koglin’s base offense level would have been 30. Under the old guidelines, it became 30 after the two-level adjustment for those with a base level of 32 who provide assistance, and under the new guidelines, it would have started and stayed at 30 because the two-level downward adjustment would not have applied. In many respects, one adjustment to Koglin’s sentencing calculations canceled out the possibility of the other adjustment. On this basis, the judge determined that the sentencing guidelines amendment would have had no actual effect in lowering Koglin’s sentencing range, and a further reduction in sentencing was not warranted. Thus, while criminal defendants may be entitled to retroactive reductions in sentences based on changes to the Sentencing Guidelines, they must be able to show that such changes would have had an actual impact on their sentencing range at trial. If you have been charged with a drug crime in Milwaukee and are concerned about a lengthy criminal sentence, you should discuss your options with an experienced criminal defense lawyer. To speak with a seasoned Wisconsin criminal attorney, contact the law offices of Reddin & Singer, LLP through our website or give us a call today at (414) 271-6400.